Hindsight is 20/20, right? Here are five areas that field service leaders have told me that, looking back, they wish they’d done differently. 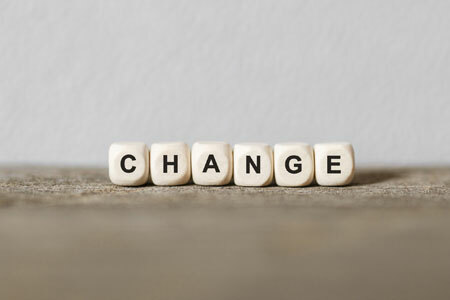 Let their advice serve as your motivation to take all the information on change management that’s out there – starting here – and put it to work. #2: Consider Dedicated Resources: One of the issues that has been brought up to me again and again is that change management fails when no one feels personally responsible for it. While it may be part of the project’s strategy, if there isn’t someone dedicated to ensuring steps are met and that feels personally responsible for the success of the efforts, it will likely miss the mark. If you want change management to be successful, you need to invest in resources that will ensure the goal is accomplished. #3: Utilize Your Most Influential Employees: Each company has a set of field employees that are “influencers” within the organization – leaders of the pack, if you will. Think ahead about how you can utilize these employees to assist you with your change management efforts. This needs to start at the very beginning of the project – make them feel invested and let them have a say, and then you’ll be able to rely on them to communicate the benefit of the change to their co-workers. That narrative you’ve re-set will have an even greater impact coming from a peer than a manager or director. #4: Take Action On Feedback, But Guide That Feedback: For employees to accept change, it is essential for them to feel like their opinions matter. This is why it is important to not only ask for, but take action on, feedback. Now you won’t be able to incorporate all feedback, but you do want to ensure that all voices are heard. This means following up on feedback to let employees know how it will be incorporated, or if it won’t, why. One of our board members gave me the analogy that his company thinks of this as “bumper bowling.” They steer employee feedback by asking employees specific questions rather than leaving it open ended so that the feedback isn’t all over the place. #5: Apply Delicate Force: To some degree, and depending on the nature of your project, your employees need to know that adoption isn’t a choice. This can’t be done in an aggressive way, but through what one of our board members referred to as “delicate force.” The goal is to get employees bought into the change and excited about it, but there also needs to be an element of holding them accountable for adopting the new system. This can be done through group and/or individual meetings, publishing and discussing progress toward KPIs, offering incentives and rewards, and discussing wins as a team among other things. 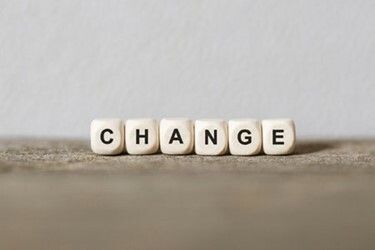 The point, though, is that your change management efforts will need to remain consistent until whatever you’re introducing is a true second nature to your employees – otherwise, interest will wane and adoption will taper off.